Design for a quadrant terrace of houses around a planned Royal Circus to be built in the Gardiner Estate on the northside of Dublin. This was never constructed but would have assimilated their three separate developments into one cohesive unit. Luke Gardiner was killed leading the County of Dublin Militia at the battle of New Ross in 1798. 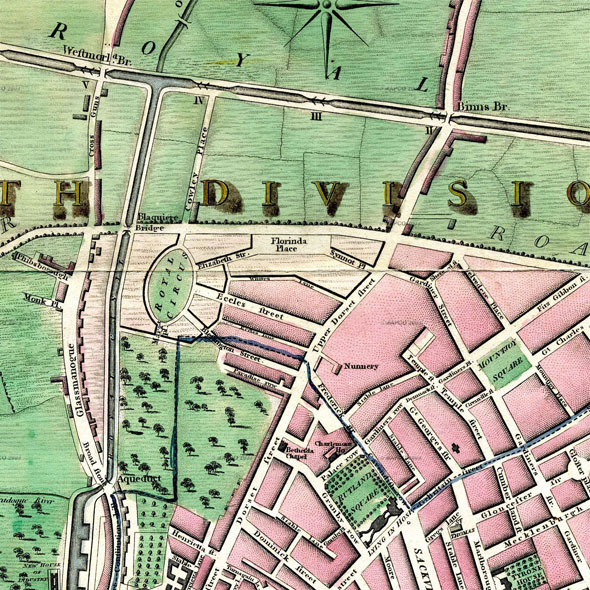 Never constructed or indeed laid out, the circus was published speculatively on some maps of the period 1798-1830.